Games like ‘Super Mario 3D World’, ‘Splatoon’ or ‘Captain Toad’ will delight the little ones and, far from titles with the kids in mind, they are also games the success of public and critical left in diapers To many of the super productions for adults that we can find in the rest of machines. Almost all Nintendo games for Wii U, and some other companies, enjoy one of the best progressions of difficulty of the industry. This translates into titles with a very accessible entrance door, even for those who have never had a command in their hands, but deep enough to gradually dominate their game mechanics more and more. 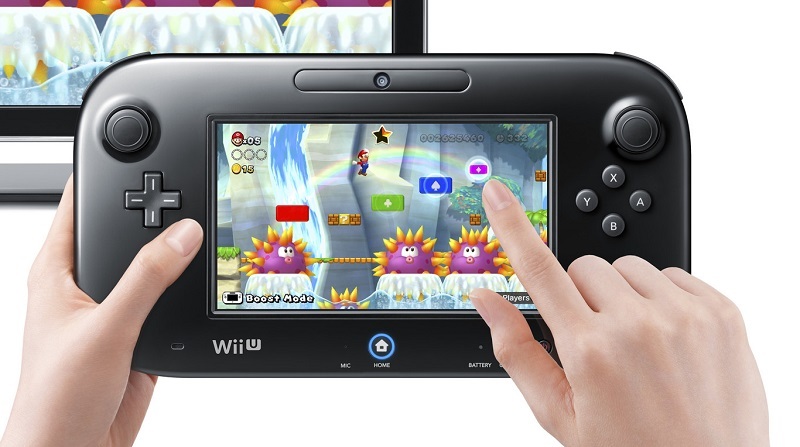 If you are one of the buyers who ended up falling into the purchase of a Wii, the controls of the previous Nintendo console will serve to take advantage of the many multiplayer modes that feature games Wii U. ‘NintendoLand’ the whole family you can compete or play together, and in others as ‘New Super Mario Bros U’ different players can join the game to help each other. Recently I was playing with a primary school teacher who did not know the console and was amazed with games like ‘Pikmin 3’ by how introduced to the kids the addition, subtraction and fractions in a fun way with the little ones were not even They were learning. Not to mention that awaken creativity games like ‘Super Mario Maker’ or ‘Minecraft’. It is not the only example, almost all Nintendo titles are primarily based in introductory texts we can move at will, so the kids do not have to deal with fast readings subtitles and can improve their reading at their own pace. The only drawback here is that we speak of print, so the little ones can suffer a little until they get used to it. With around 300 dollars in different packs with different games like ‘Mario Kart 8’, it is clear that Wii U is not the cheapest console this Christmas, but there is another aspect to take into account the price of their games always is usually about 20 or 30 dollars cheaper than the launches of other machines. To this must be added to find the best resale or reduced price is relatively easy. Nintendo is very committed to the age of your target audience company, so that for some can become a nuisance for being a system that does not open fully internet for parents is a blessing in which the Control parental everything that reaches the eyes of their children has passed a comprehensive filter. It is also a machine that does not require constant maintenance or dealing with updates downloads and other cumbersome processes. Everything is done in the background, if the machine is connected to the internet, so the only thing you have to worry about is to play. The last section is more an advantage but at the end of the Wii U is a console that has already been given up for dead to be his successor, Nintendo Switch, just around the corner. But where you see a problem, what you can find is something completely beneficial if you keep an eye on the sale of machines, games and peripherals to clean up stock that will soon start.